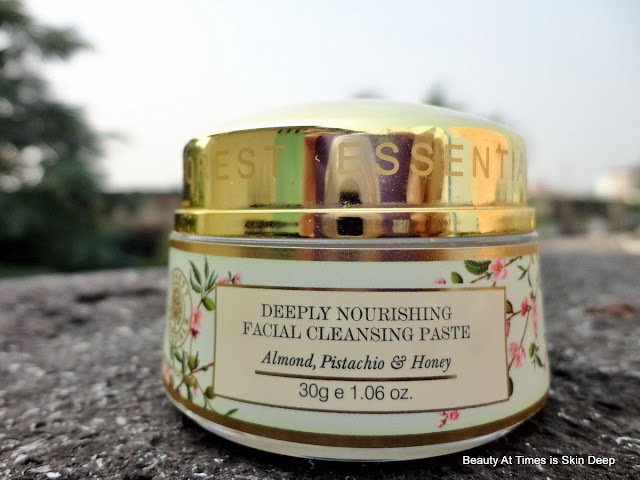 Review by Sramana: Forest Essentials, my ultimate favourite luxury Ayurveda brand has launched 'Deeply Nourishing Facial Cleansing Paste' few months back. I was looking for a scrub which is suitable for sensitive skin and finally I indulged in this one. I am using this scrub twice a week for past one month and and will share my experience with you all. contains natural hydrators including Buttermilk, Floral waters, Organic Honey and fresh Aloe Leaf juice to gently polish and gives the skin a fine porcelain texture. Price : Rs 1850 for 30 g. FE products are easily available at all Forest Essentials outlets across India as well as on their official online shopping website www.forestessentialsindia.com. It is also available in major online shopping websites. Scrub is an essential part of regular skincare. Exfoliating your skin at regular intervals is very important. It helps to cleanse skin from within, unclogs pores, removes blackheads and whiteheads and also helps in removing dead skin. But it is very essential to choose the right scrub depending on one's skin type and to optimise the usage. Description : The product has the signature luxurious packaging. It comes in a tub style packaging with a glass bottom jar with a golden cap and a plastic stopper on the inside. I absolutely admire packaging and gift boxes from Forest Essentials. They personify luxury. This packaging helps in easy handling with no wastage. The glass jar is not travel friendly though and I do not need to carry such a heavy-duty scrub with me on travels unless it is going to be a really long one. The paste has a thick semi-sold consistency and a mild grainy feel. The blend contains ground almonds, pistachios and honey and helps remove dead skin by giving gentle physical exfoliation. The scrub has a rich scent and it smells heavenly. I apply Forest Essentials Deeply Nourishing Facial Cleansing Paste on my wet face and massage it well for about 2 minutes on my damp skin concentrating on my nose, mouth and neck area. After massaging this on the skin for about a minute, I add some water and it emulsifies with the water and I continue mild scrubbing for another 30 secs. Then I leave it on my skin for about 3-5 minutes to let my skin absorb all the goodness from the product. I then wash it off gently with lukewarm water. At once, my skin feels soft and smooth. With the first usage itself it removes the dead skin and reduces the tan. My skin looks enriched, glowy and feels soft and moisturised after use. The cleansing paste is ideal for upcoming Winter seaon when our skin becomes dry and flaky. 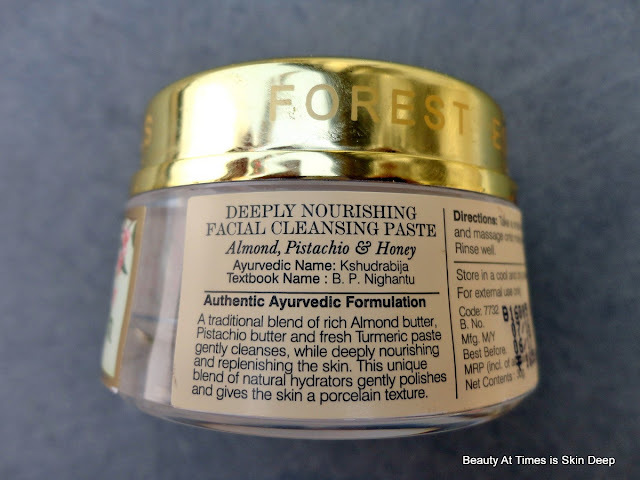 My skin feels pampered and loves the nourishing feel after using this paste. This product can be used daily/twice/thrice a week depending on one's skin type, sensitivity and requirement. I use this paste twice a week and since only a tiny amount of product is needed , one jar should last for six months in my case. It works wonderful for my skin. It gently cleanses the skin by extracting impurities. It helps to nourish and replenish the dull and lackluster skin. It gently polishes the skin and gives a fine porcelain texture to the skin. I am in love with the dessert-like rich smell. No break out in my sensitive skin. One jar will last minimum one month . Cons : PRICE ! Rs 1850 for 30 g product is way too much! But Luxury comes at a price so whether you want to indulge or not is completely your choice. Do I recommend this? YES if only you want to indulge else there are many effective and cheaper options available in the market. Shall I repurchase? Not immediately. Once I finish this one I want to go back to my Kama Ayurveda Kumkumadi skin brightening scrub which is my HG scrub. 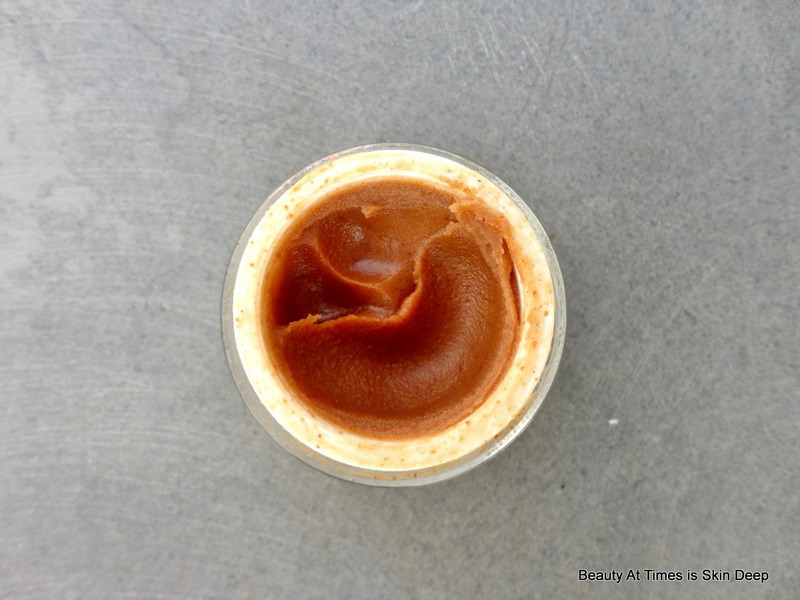 Have you tried this cleansing paste? Your thoughts ? Any other recommendation for natural scrub ? Do share in the comments below. Nice detailed review. And yes Luxury does come at a price, can relate to it. This sounds so good! I am quite tempted. I love the Kama Ayurveda Kumkumadi scrub too! The texture looks so special!